If you’re a regular reader of these Agents Perspectives (email me at ptickner@customgb.co.uk, it would be good to meet you), you’ll be familiar with my mantra of “Travelling Less Seeing More” and my top 5 stories are just another very good illustration of just how this can be done. As all these attractions are a short hop from London Heathrow, it makes better sense to base them in a fine country house hotel so that you can offer them a stylish, travel less, see more start to their UK visit before they head into London. For much the same reason, interest in Cotswolds-based tea room tours is also growing, as is awareness of new travel experiences through the northern gateway of Manchester where the World Capital of Ceramics aka. Stoke on Trent is almost on its doorstep. I’ve finished with a valuable ‘Traveller’s Tip’. With Olivia Colman winning the Best Actress Award at last Sunday’s Oscars, here’s a reminder that The Favourite was filmed among the elegant parterres and treasure-filled interiors of Jacobean Hatfield House. Let’s talk about an On Location tour that includes Father Brown, Inspector Morse, Harry Potter, the new Shakespeare movie ‘All is True’ and a leisurely visit to Hatfield House. 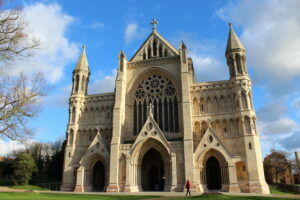 St Albans Cathedral is often missed as travellers speed their way out of London towards Cambridge and points further north, and this needs to change. The burial place for the first recorded British Christian martyr, it has been a place of pilgrimage and worship for over 1400 years. 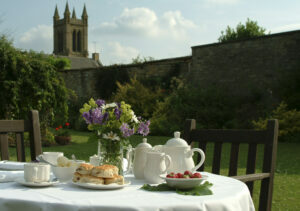 They offer 3 specialist tours, on Pilgrimage, their fine medieval wall paintings and their Stained Glass. 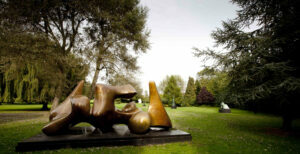 The sculpture gardens and studios, based at Henry Moore’s former home in Hertfordshire, are the best place in the world to appreciate the artist’s work, offering you the chance to discover more about the life and work of one of Britain’s most famous sculptors. You can also visit the artist’s family home, Hoglands, where he lived with his family for over 40 years. 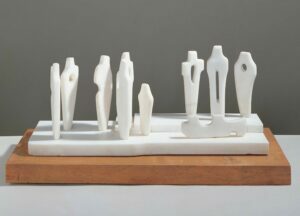 Building on reader interest in last week’s article about Sir Henry Moore’s sculpture gardens and studios, a new exhibition on Barbara Hepworth, one of Britain’s most celebrated artists, opens shortly at the nearby St Alban’s Museum and Gallery. Running between 23rd March and 8th September, it introduces sculptures, drawings and archival material, reuniting works that have not been seen together since they were first created. 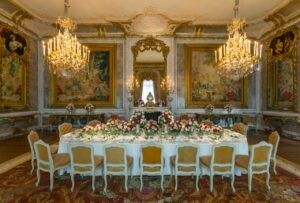 From 25th May, Waddesdon Manor is opening a new display celebrating the Rothschilds as collectors of extraordinary objects made from rare and precious materials. Densely displayed and beautifully lit, it offers an intense opportunity to enjoy and understand objects made from silver, silver-gilt, rock crystal, amber, ivory and enamel including some spectacular jewelry and intricate clocks which have profound significance to the family. From the number of emails received, quite a few of you have a very good relationship with your local tea room and this itinerary could make a very good conversation-starter. Because of seating capacities in some of the UK venues, these tours work best for groups of 8-12. 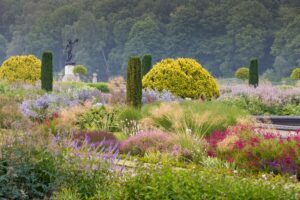 That said, if I include more stately homes with terraces, cathedrals with refectories and gardens involved with the National Garden Scheme, numbers can increase. I recently ran a story on some of the more unusual events that take place in the Cotswolds which included Cheese Rolling, Tetbury Woolsack Races, Morris Dancing, the Olimpick Games and the World Poohstick Championships. Here’s another. 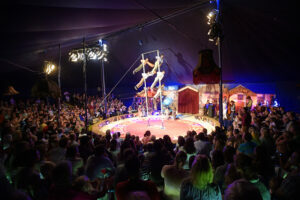 The Gifford’s Circus, a magical village green circus that tours the region every summer. It’s not Cirque du Soleil but it’s very professional and great fun. 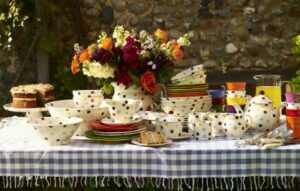 Enjoy a special behind-the-scenes factory tour at Emma Bridgewater, located in a Victorian factory and see how they hand-make and hand-decorate all their pottery. Try your hand at decorating your own unique piece of pottery and finish off with tea, hot chocolate, sandwiches and cakes in the cosy café with Spotty Aga before picking up a bargain or two. 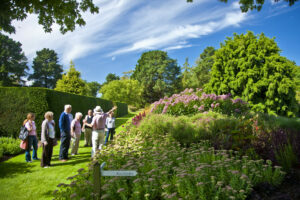 The rejuvenation of the Trentham Estate’s gardens in Stoke-on-Trent has created one of UK’s finest gardens. Discover the story behind this remarkable garden transformation on a gardener’s tour around Tom Stuart-Smith’s planting scheme of the Italian Gardens, Piet Oudolf’s Rivers of Grass and Floral Labyrinth, and the newly introduced Annual and Perennial meadow schemes, designed by Professor Nigel Dunnett. Suggestions for beating the Monday-Friday, mobile car park between London Heathrow and central London, include visiting Windsor Castle (opens at 10am) or a cup of coffee, breakfast, a breath of fresh air and a leg stretch at the nearby Savill Gardens (opens at 9.30am). 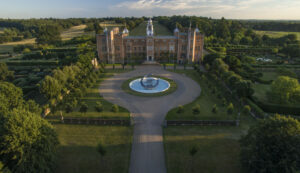 Alternatively, for families, combine Windsor Castle (am) and Hampton Court Palace (pm) before checking in. Should You Start as a Travel Agent Employee or Independent Contractor?